The Acue Art-Node 8 is a rack mountable 8 universe art-net decoder. 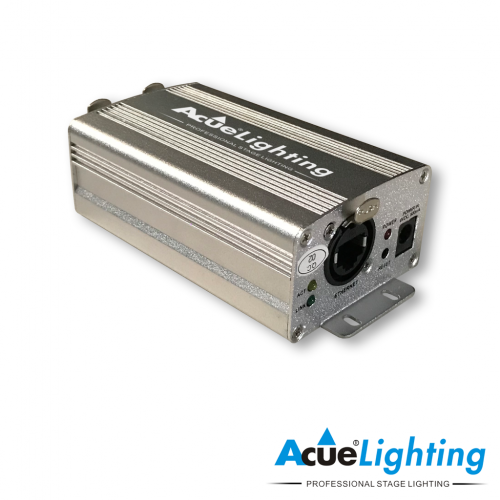 It features and LCD menu and function display with LED indicators and a 5 button navigation control system. 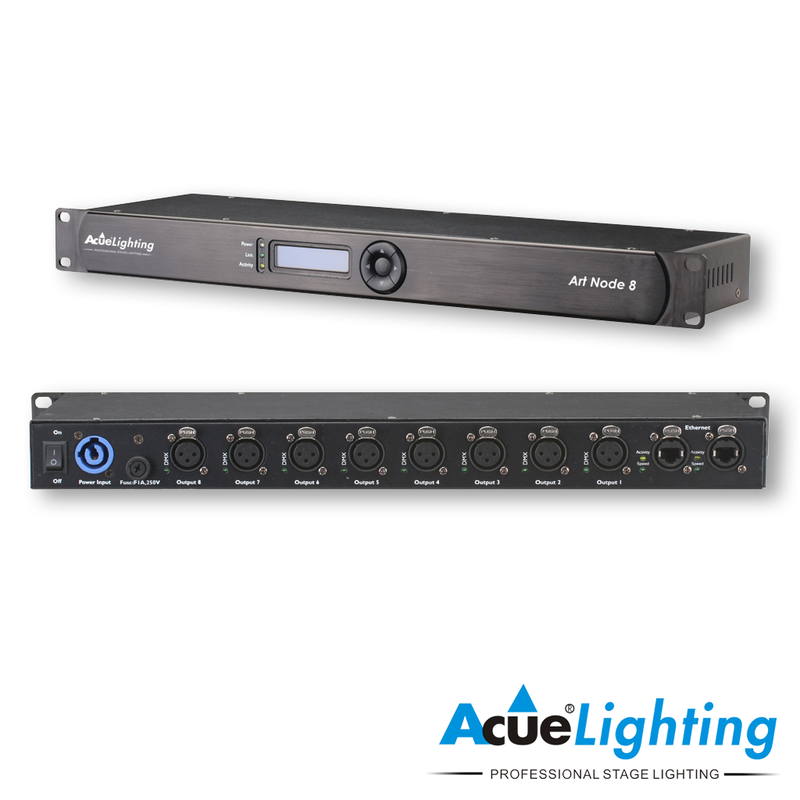 The Art-Node 8 has the capability of outputting 8 separate DMX universes using the 8x 3-pin DMX output ports located on the back of the unit. 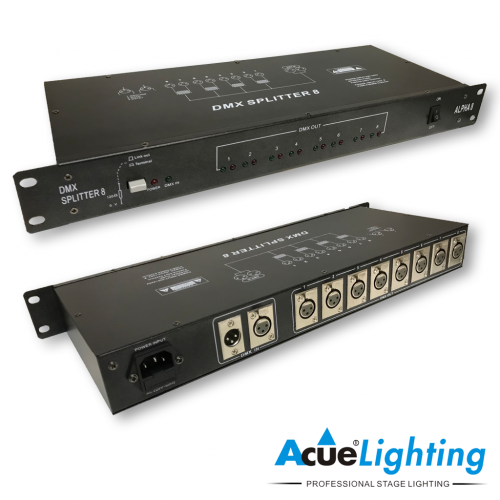 Also located in the back of the unit is a PowerCon power input port and power switch along with the fuse housing for the fixture. 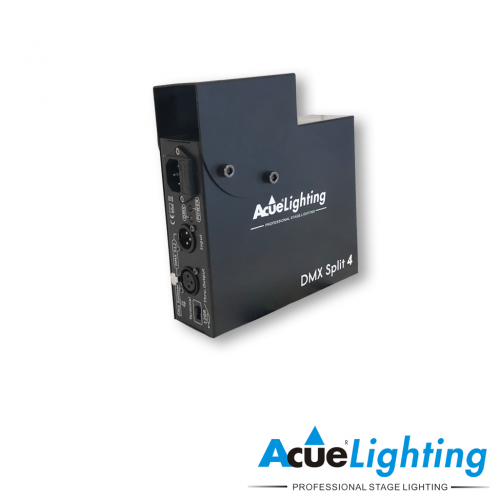 The Art-net input is achieved by 2x RJ45 TCP/IP 10/100M EtherCon ports located in the back of the unit and features DMX bilateral signal conversion. 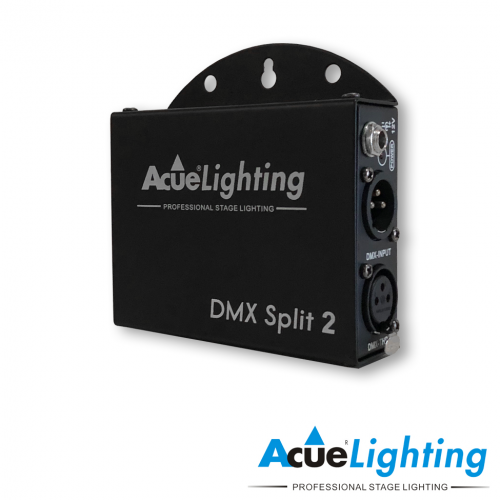 The Art-Node 8 is DMX-512 and Art-Net compatible.